Four years ago, Mike ‘The Mouth’ Matusow and Ted Forrest made a legendary $2 million weight loss bet. Forrest won that prop bet, however, he still has yet to see the money. Ever heard of Cort ‘thecortster’ Kibler-Melby? He isn’t the game’s best-known name, but after a massive win streak, he’s getting far more attention. Famed UK pro Roland de Wolfe may be part of one of the biggest collusion scandals ever. However, it’s a little hard to trust the source that’s throwing the accusations. Let’s check out all of these stories in the Weekly Flop. 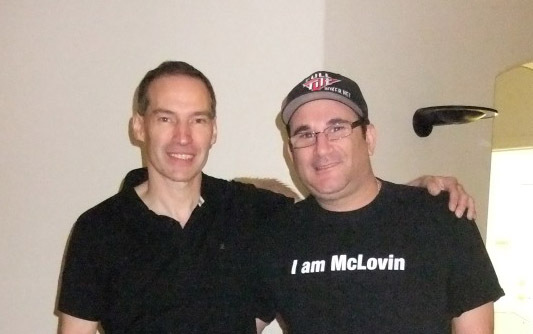 In 2010, Mike Matusow and Ted Forrest made one of the most-legendary prop bets in poker history. Matusow bet $2 million that Forrest couldn’t drop from 188 to under 140 pounds in two months. Miraculously, Forrest lost the weight and put himself in line for a $2 million payday…only he’s still waiting for that money. This prompted Mike’s brother, Scott Matusow, to claim that Forrest never submitted to drug testing during or after the bet. The latter fired back by tweeting that he lost the pounds without any weight loss drugs. Forrest added that he’s a bit frustrated about waiting four years for over $1.7 million of the remaining payoff. Of course, it should be mentioned that this wager was made during the golden years of Full Tilt Poker, when both players were living off fat sponsorship deals. But now that this money has dried up, it’s a wonder if Matusow will ever be able to pay off the massive debt. Perhaps Matusow can hit up Cort ‘thecortster’ Kibler-Melby for a $1.7 million loan because that’s exactly how much the German-American won on the high stakes online tables in a 10-day span. He absolutely dominated the 2-7 Triple Draw tables, netting $800 in a single day. He then came back in another session and made $400k, only to top his win streak off by earning $500k in 2-7 Triple Draw. This is the most money won in such a short span for an online poker player in 2014. And it’s even more amazing that this comes from a lightly known player like Kibler-Melby. The 28-year-old has been around internet poker for a while, however, he just recently seems to be crushing the big stakes. And given his recent profit, we can probably expect to see plenty more of thecortster in the future. Roland de Wolfe was once one of the most-recognizable faces on the tournament scene, eventually completing the Triple Crown (EPT, WPT and WSOP title) in 2009. But ever since losing his sponsorship deal with Full Tilt during the Black Friday fiasco, de Wolfe has dropped off the face of the earth. So where has he been? Apparently winning millions off of some rich investor in high stakes cash games. Iraj Parvizi, a Dubai-based investor and wannabe poker pro, claims that de Wolfe and Josh Gould colluded against him at Les Ambassadeurs casino. They allegedly encouraged him to bet more while splitting the profits later in games ranging from 2010 to 2013. Parvizi has since launched a £10 million lawsuit against Les Ambassadeurs while claiming that they did nothing to stop the collusion. For his case, he called forth Richard Marcus to look at the tapes, with the famed card cheat backing up his collusion story. It’s a little premature to take Parvizi’s word in this case, though. After all, the reason why this litigation mess started is because Les Ambassadeurs sued him for an unpaid debt of £185,000. Plus Parvizi is currently being investigated for alleged securities fraud in the stock market.